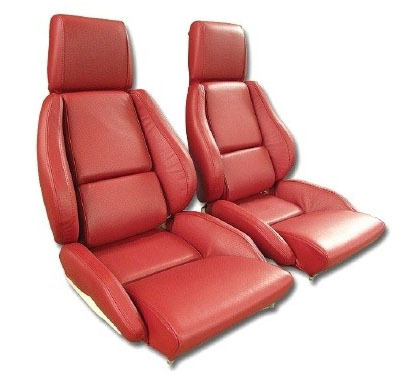 These original leather seat covers fit Corvettes with standard seats. Available with or without the original design perforations. Our leather seat covers are made in the USA with 100% genuine leather and are exact reproductions of the original leather seat covers. These seat covers are already mounted on new foam making for an easy and convenient installation.